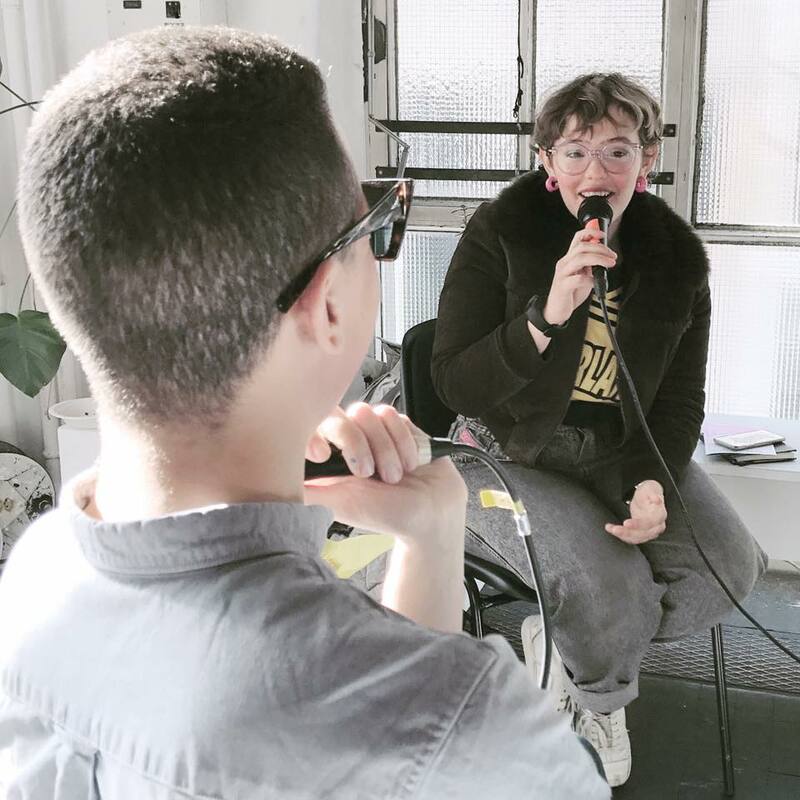 web-radio lives, workshops and performances. Centre de la Photographie, Genève, 2017.
in collaboration with Julie Carvalho, Maïté Chénière, Nelson Irsapoullé, Roland Lauth, Ugo Pignon and Neige Sanchez ; and the participation of Frederike Wrobel, Raphaëlle Bessette, Charmed club, Fu, Anika Koppe, Crépidules, Schmutzige teenager, Frido Khala, Genevegas, R-Less, Mighty. Charmed club takes care of the Commun is a collaborative project made with the Charmed Club -who defines itself as a « moving ecosystem of relationships » - who took place in Geneva's Center of Photography (CH) in september 2017. 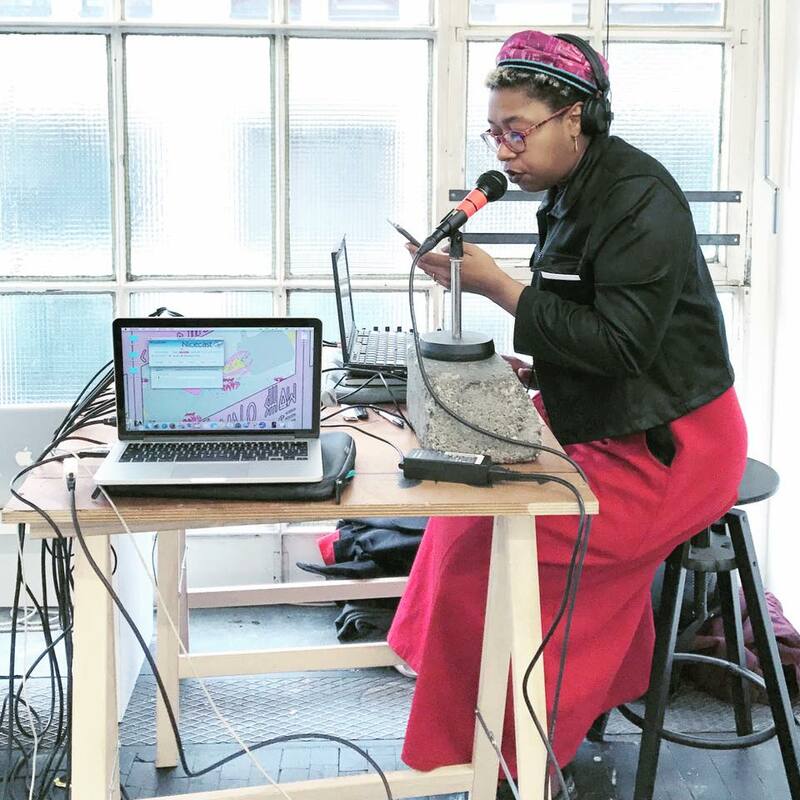 For three consecutive afternoons, we occupied the exhibition space by making it the set of an open live web-radio. 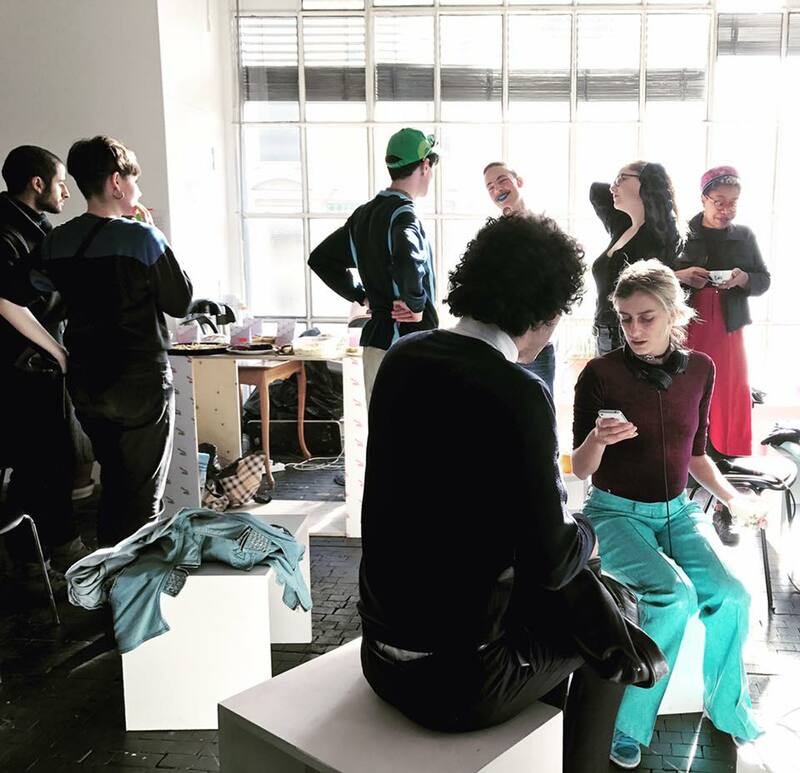 We invited artists, activists, poets and theoricians from Geneva and elsewhere, to exchange, perform and offer workshops around the topic of self-care and collective care. 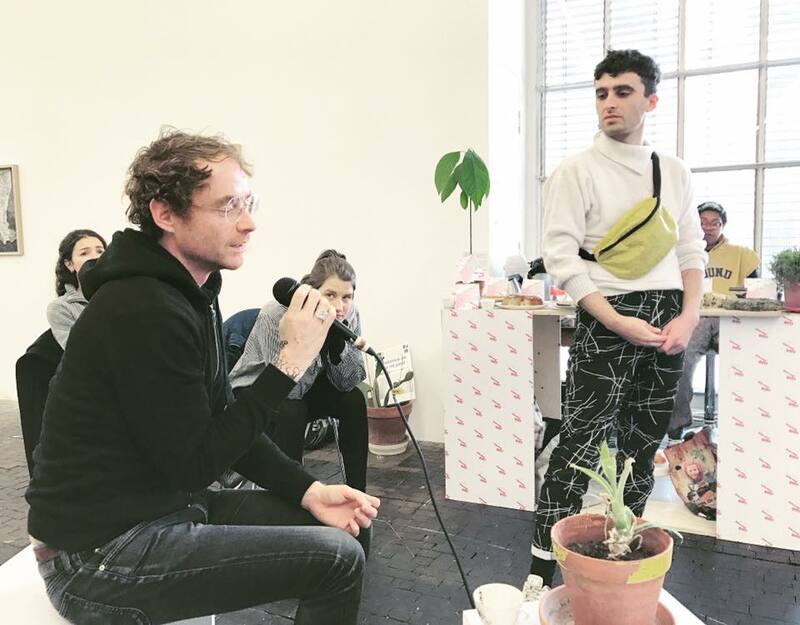 Three starting questions have then unfold : how to find one's voice while living in a collectivity? What strategies could be shared to care of oneself? And finally, how can entertainment be a powerful vehicle of social change? Coming from different backgrounds but all sensitive to queer, feminist, ecologic and decolonial stakes, we chose to dive into those questions through our own perspectives, our bodies, our feelings and our struggles. We went through a live brainstorming in order to think together about collective living as much on an individual and collective scale than intimate and political, as much by day than by night. 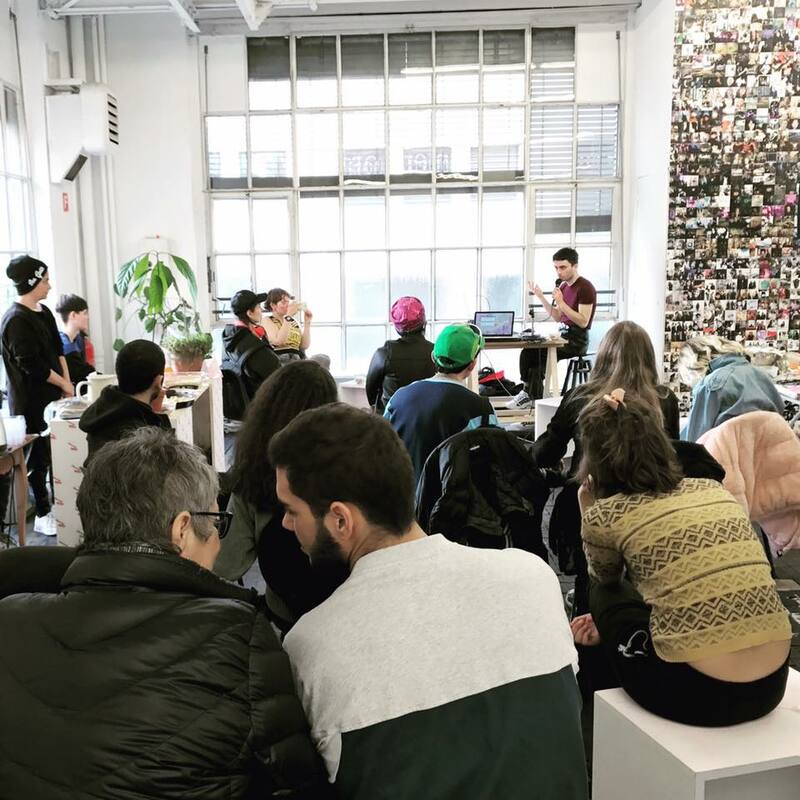 A self-organized cafe was built for the occasion, where we served homemade vegan cakes and heartwarming hot beverages, and put on display printed texts of Donna Haraway, Audre Lorde, Bell Hooks, Deleuze&Guattari and Octavia Butler, among others. This project wished not only to seek for solutions but to create the conditions for those solutions to emerge in an institutional context. credits : thanks to Roland Lauth for the graphic design, and to Galaxia Wang for the pictures.